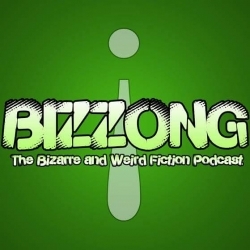 This week on Bizzong! Mr. Frank welcomes author Autumn Christian author of Girl Like a Bomb, Ecstatic Inferno and Crooked God Machine. Autumn talk about her connections to Bizarro, her unique involvement with video games and her forthcoming book from Clash Books. Bizzong! Live from Scares That Care 2018 presented in its entirety! Join Mr. Frank as he plays Bizarro Game show host featuring Zonger contestants from the live audience: Wiley Young, Lucas Milliron, Ryan Miller, Nick Jasper and YNO Mike. Who will be crowned the Bizzong! Bizarro Champion of 2018? This week on Bizzong! Mr. Frank recaps his experience at Scares That Care Charity Weekend 2018.